It should come as no surprise that as the global population grows, so does our need for natural resources and arable land to sustain life, not just for our generation but for generations to come. Since the publication of the Brundtland Report in 1987, the concept of sustainable development has been at the forefront of modern construction – recent innovations in construction, engineering and architectural design aim to produce buildings that are not only environmentally friendly, but resource efficient. Dubbed ‘Green Building’, environmentally conscious design goes beyond the construction phase and impacts upon the entire life-cycle of a building. By going green, eco-friendly buildings have the capacity to utilise natural resources as part of their everyday function, reducing energy costs and limiting their impact on the environment at the same time. Once taken for granted, the conservation of water and its application in modern building design is increasingly important, as parts of England and Wales face water shortages in light of drier winters and warmer summers. Population growth is also an issue, although the biggest enemy is excessive consumption, with the Environment Agency warning that significant shortages in water can be expected within the next 30 years if attitudes to water usage do not change. So, what can be done to help limit the impact? Before we get into how SuDS can potentially help water conservation efforts, however, a little background information is required. Sustainable Drainage Systems were initially introduced to help alleviate problems associated with flash flooding in urban areas. Infiltration, the method by which precipitation enters the ground, is not much of an issue in rural areas, where the land is mostly permeable allowing ground water to percolate into the soil. In urban areas, where the land is covered by impermeable surfaces such as roads and pavements, infiltration is facilitated by drainage networks. Problems arise, however, when the amount of surface water directed into these drainage systems causes them to overload resulting in floods. Flooding of urban drainage systems often results in the release of pollutants that can adversely affect the environment and contaminate sources of drinking water. Surfaces such as roads and pavements act like saturated soil in periods of heavy rain fall, which in turn can easily overwhelm drains and sewers. 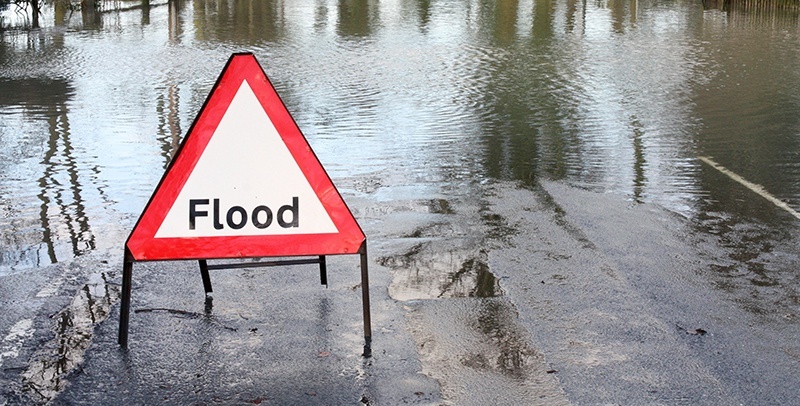 These 2 factors, combined with unusually high levels of prolonged rainfall, resulted in some of the worst flooding the UK has ever seen back in 2007. One of the wettest summers ever recorded, thousands of homes across the UK were left in ruin. Worst still, 12 people lost their lives during the chaos that ensued during another flash flood in 2017. Such incidents, along with the likelihood of increased and more ferocious storms in the future, has brought SuDS to the fore, their widescale adoption a necessity in preventing future widescale flooding. Integration with Green Infrastructure: aside from slowing water flow rate and reducing flood risk, SUDS offer neighbourhoods multiple benefits, including attractive planting features, and increased biodiversity. With the aim of making Newmarket, Suffolk, the “water saving capital of the UK”, Anglian Water have been proactive where SuDS is concerned, as demonstrated by its “shop window” innovation project. Working with Atkins, the highlight of Anglian’s quest to help conserve water and stem the risk of flooding in the region is a simple and effective implementation of SuDS in the town’s All Saints Primary School. A number of features, such as a tree pit and rain garden, slows the speed at which water enters the sewers, reducing the chance of them overflowing; the installation also serves to educate the children that attend the school on the environment and the water cycle whilst promoting key messages about the value of water. 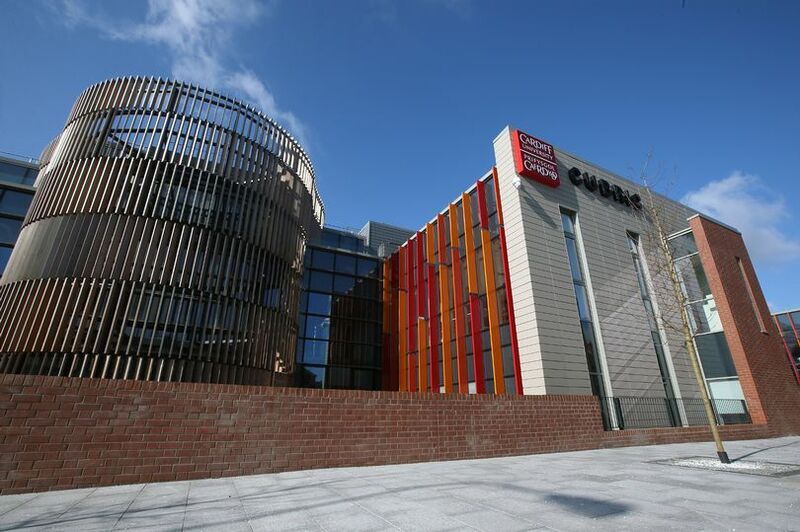 Long-time champions of sustainable engineering practices, SuDS played a big part in HLN Engineering’s’ involvement in the design and construction of the landmark CUBRIC building, Cardiff. A SuDS drainage system was incorporated into our drainage designs to help store and re-use rain water throughout the building, In line with the environmentally friendly and sustainable ethos of the building’s construction and on-going use. HLN Engineering has been working with Bristol Airport since 2009, heavily contributing to the airport’s ambitious expansion plans. As part of a 16,000-space surface car-park extension, we spearheaded the design and implementation of a SuDS storm drainage solution, which was fundamental to the further development of the Airport’s overall masterplan. Our use of SUDS (sustainable drainage systems) was key to the sustainable design requirements of the landmark CUBRIC building in Cardiff. Permeable Parking Areas – parking areas made with permeable surfacing to disperse lager areas of water back into soils. For advice and further information on SuDS, please ontact our engineering department on 020 8099 6388 or email us at mail@hlngroup.co.uk.